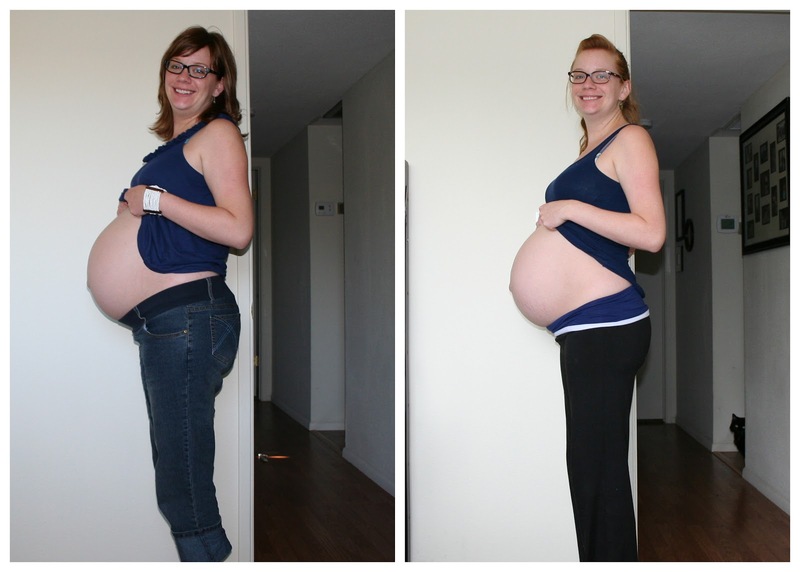 vbac or bust: Enjoying the last bits of pregnancy. Enjoying the last bits of pregnancy. I never thought I would be so patient as we approach the end of this pregnancy. But, I'm feeling comfortable, I'm not bloated, sleeping is O.K. (and I mean ok, not great), I'm 30 pounds lighter, and by some grace of God (and a LOT of hard work from my husband) we've finished everything on my "baby bucket list." -and last but not least, Christmas Lights are down!!! And of course after finishing all that, my poor husband has a lingering cold/cough/allergies mess that won't go away. I'm up to pee 12 times a night, and he's up coughing, and our 21 month old just likes to be up. Thankfully, they both are getting some sleep this morning. Well. I only have 1 week of work left. And an ICAN meeting this week. Nothing but relaxing, walking, and playing with my first baby until BGF gets here.